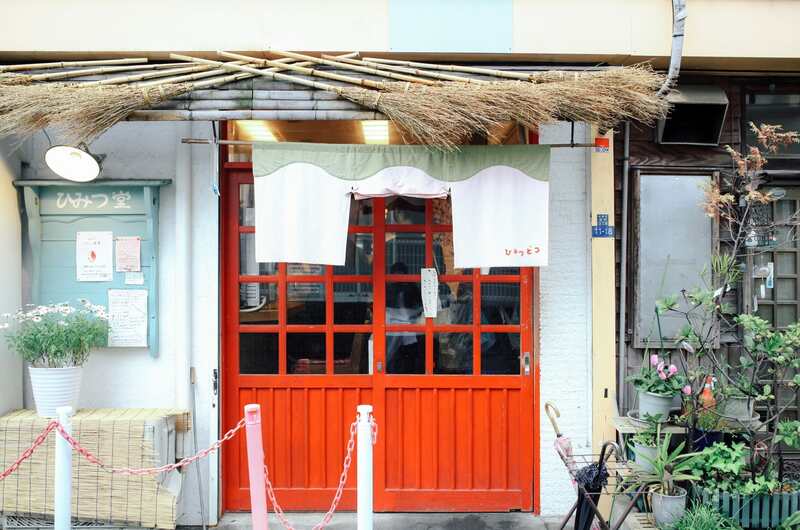 Himitsu-Do, a shaved ice specialty shop, is befittingly located in Yanesen – an area popular for its old-school charm. People flock to Himitsu-Do for its “modern” shaved ice, which is itself a traditional Japanese dessert. In this article, we’ll feature the highlights of Himitsu-Do. Himitsu-Do is regularly featured in TV programs and magazines and is one of the most popular destinations for shaved ice in Tokyo. The shop is compact, seating only 21 people, so it’s easy to miss the storefront despite constant lines during summer. Himitsu-Do has a homely façade that blends into the architecture of Yanesen. Inside, there are counter seats in the front and table seats in the back. Additionally, there’s a space to watch the ice shaving process for the uninitiated. Himitsu-Do offers several variations of shaved ice. 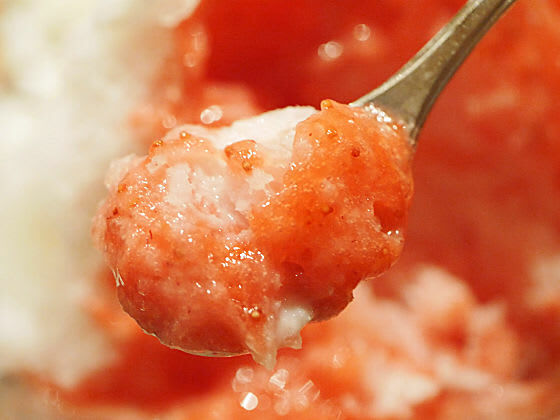 Its shaved ice differs from the rest – Himitsu-Do uses a hand-crank machine to finely shave natural ice into a fluffy texture, before garnishing it with a natural and hand-made topping. The unique flavors are certainly unforgettable. 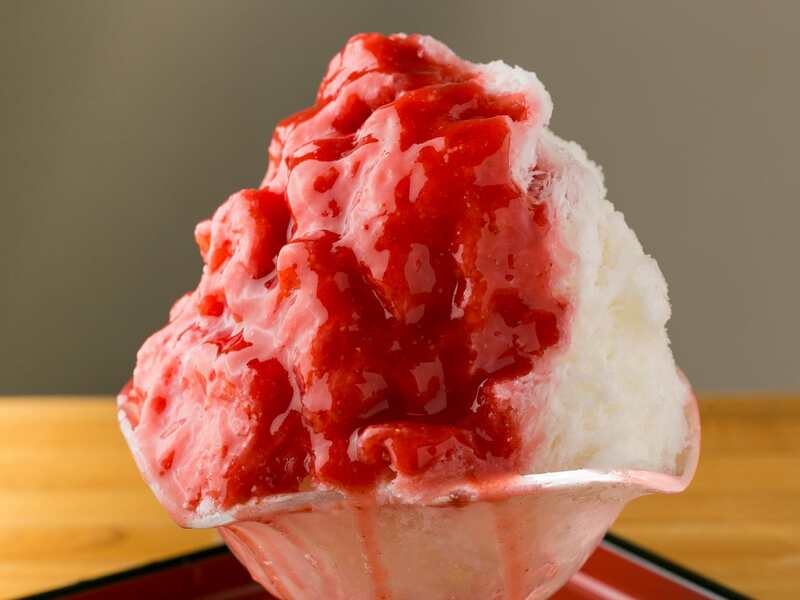 As an added bonus, shaved ice is typically served only during summer, but Himitsu-Do is open year-round. This classic is a perfect combination of milk flavor and ripe strawberries from Shizuoka and Akita, both renowned strawberry-producing regions. It’s hard to not snap a picture of the mountainous shaved ice before digging in! Since you’re in Japan, why not taste a uniquely Japanese shaved ice like Uji Kintoki? 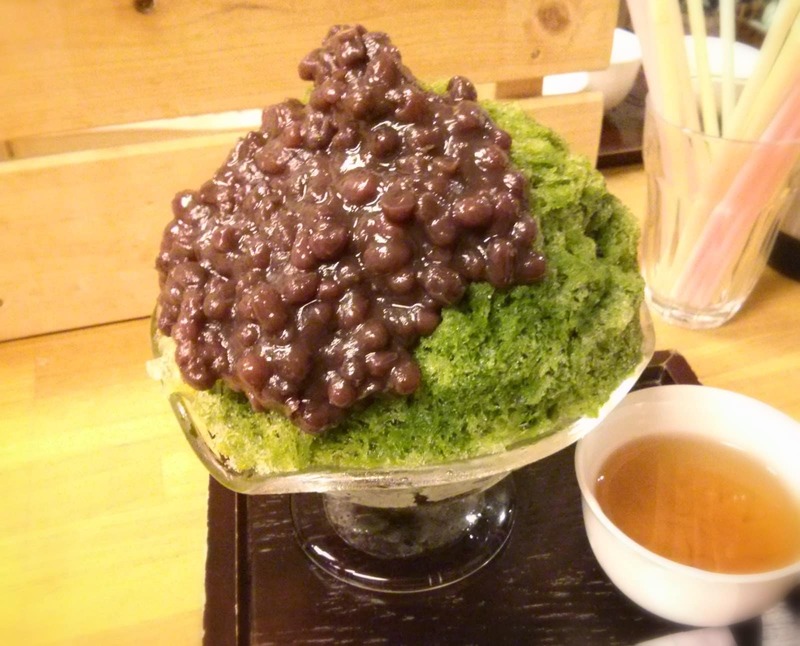 This shaved ice combines Japanese flavors such as matcha, anko (azuki bean paste) and shiratama (mochi-like balls). Enjoy Tokyo by savoring elegant Japanese flavors in Yanesen. ・Popular Menu Items: Himitsu’s Strawberry Milk, Uji Kintoki, etc.